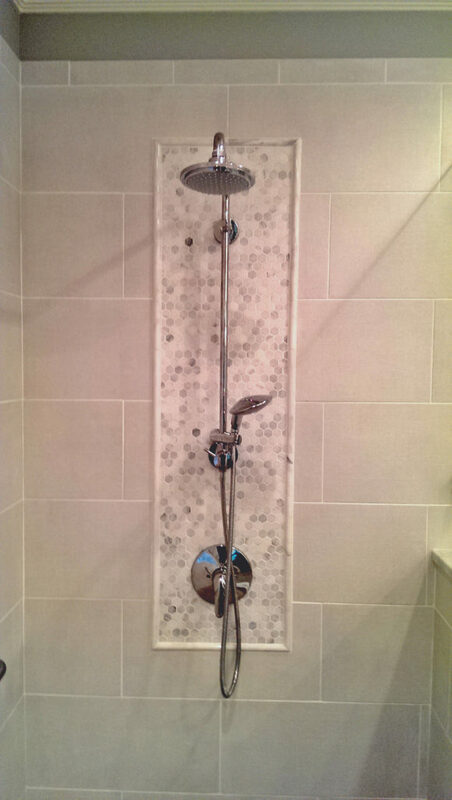 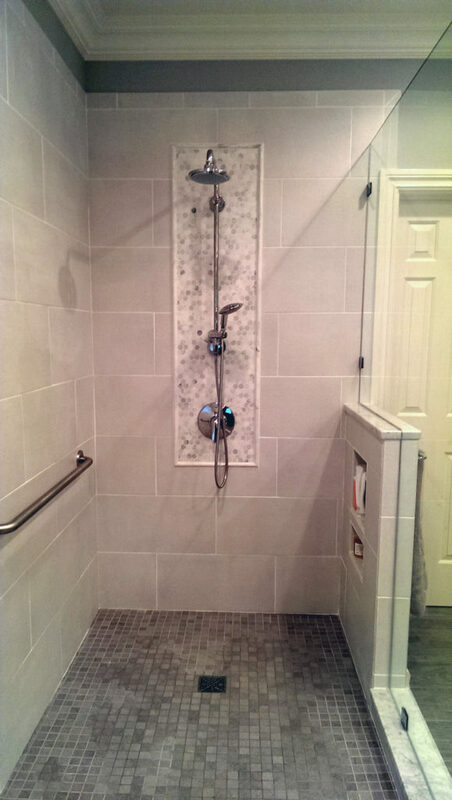 This handicap accessible remodeling project was completed for a man who is a paraplegic. 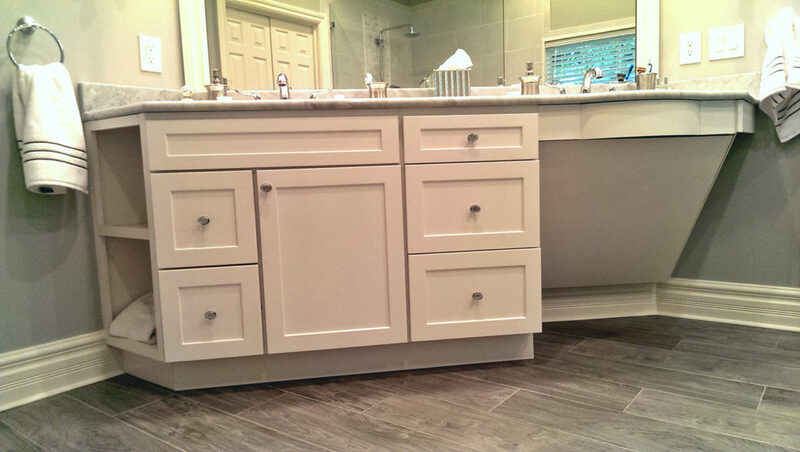 He and his family were moving back to Cincinnati from Lexington, and needed an accessible home. 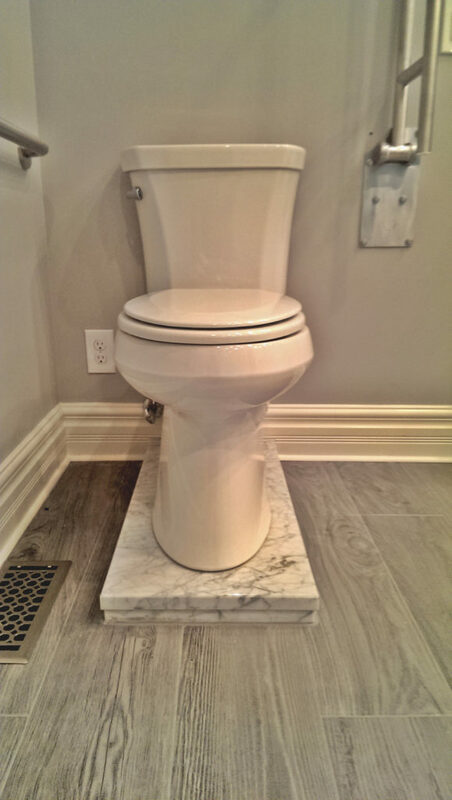 I met them at the house prior to them purchasing it to make sure it could be modified to meet his needs. 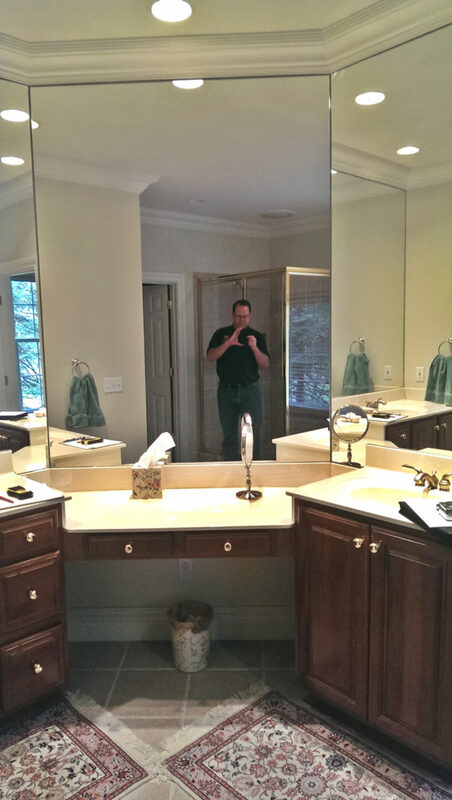 The home is 15 years old, and in an upscale neighborhood. 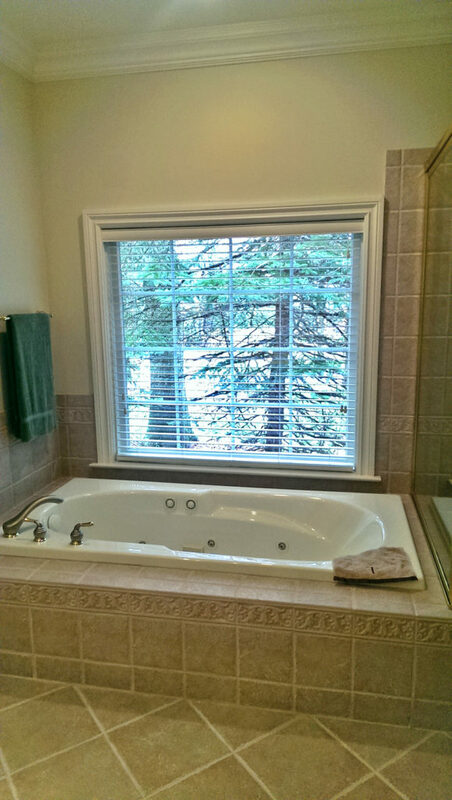 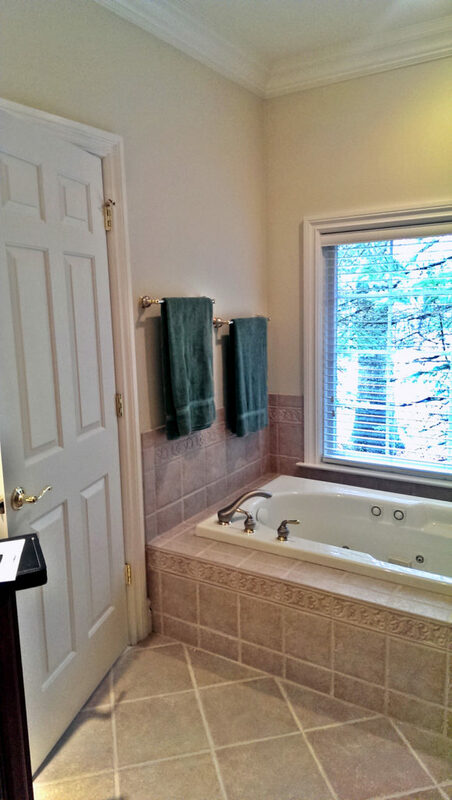 It had a standard master bathroom, which included a double vanity, shower, whirlpool tub, and separate toilet room. 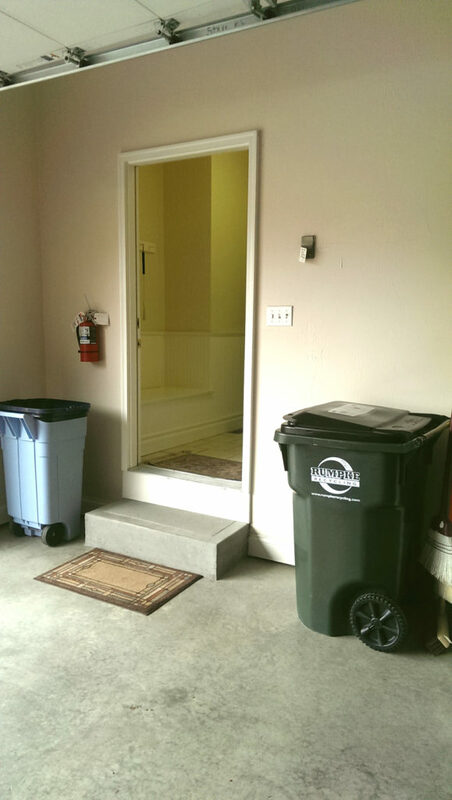 Garage entry – We redesigned this entrance, and included a ramp which has an automatic door opener. 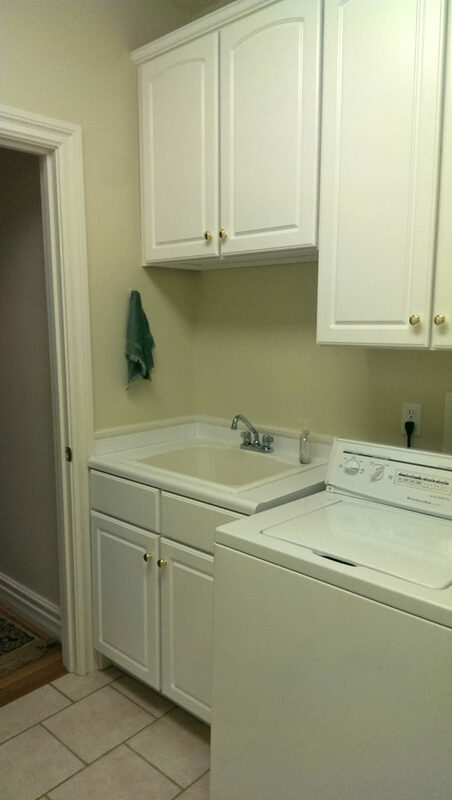 Laundry area – We moved the laundry room to the lower level and turned the existing space into a “power chair garage”. 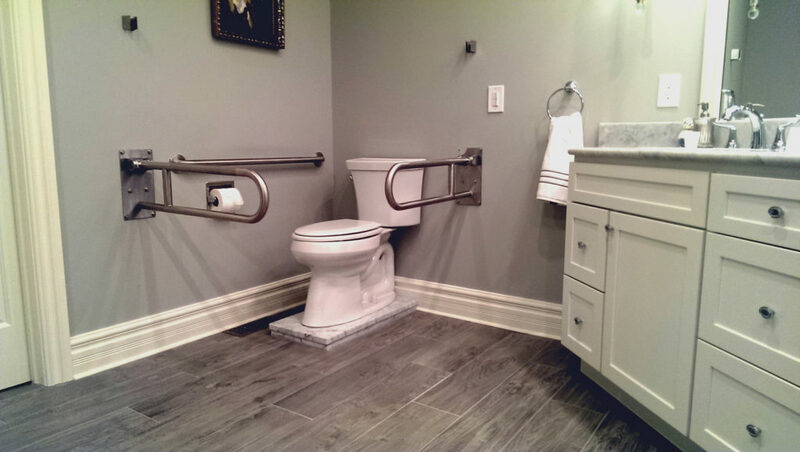 It is now a space that he can transfer from a power chair to a scooter. 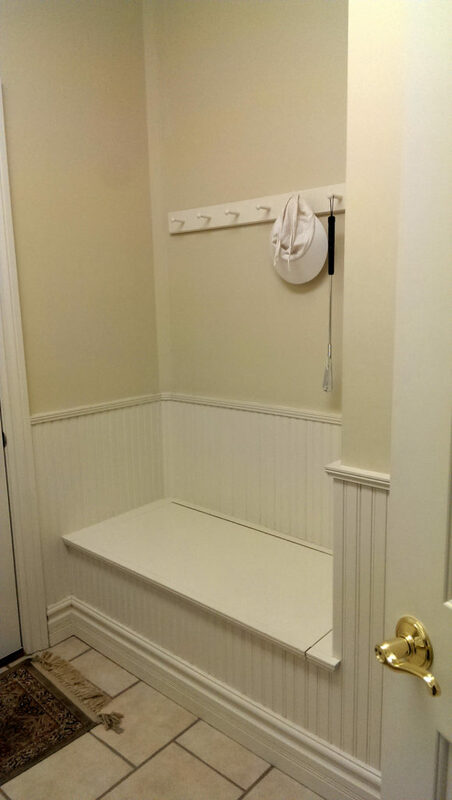 And, serves as an area where the chairs can be stored and charged. 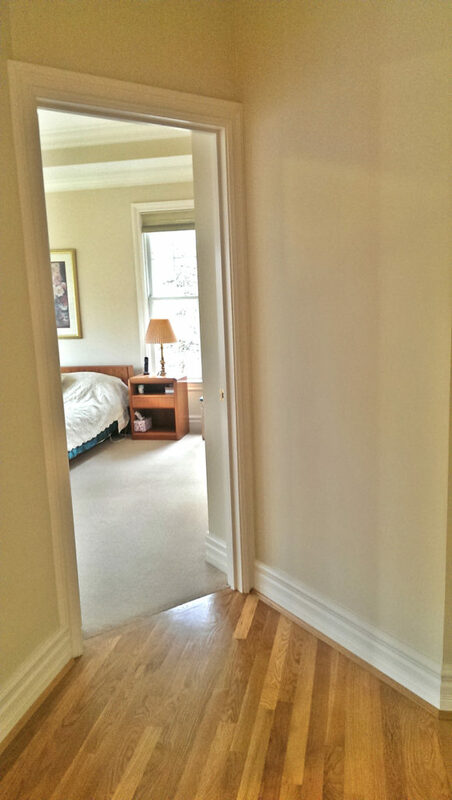 Hallway – We re-positioned walls in the hallway to the master bedroom, and widened the door. 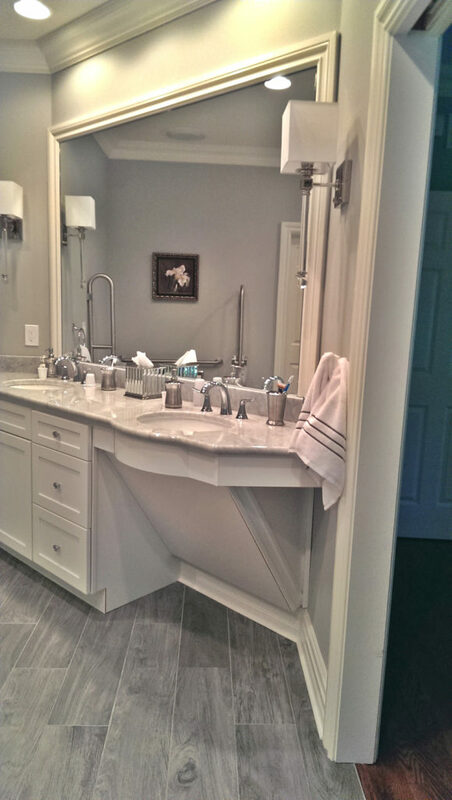 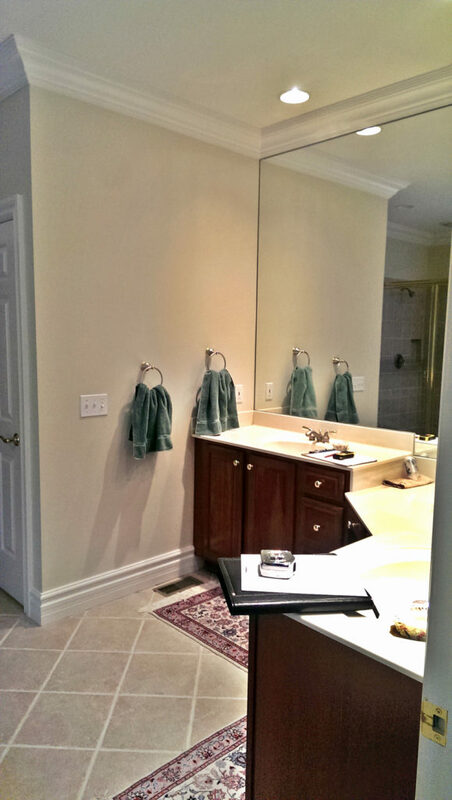 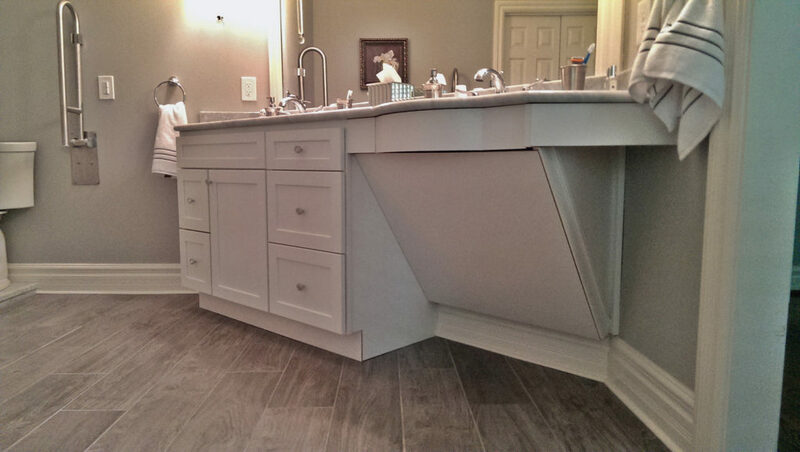 Master bath – We reconfigured the master bathroom per his needs, including a roll-under vanity with custom marble tops. 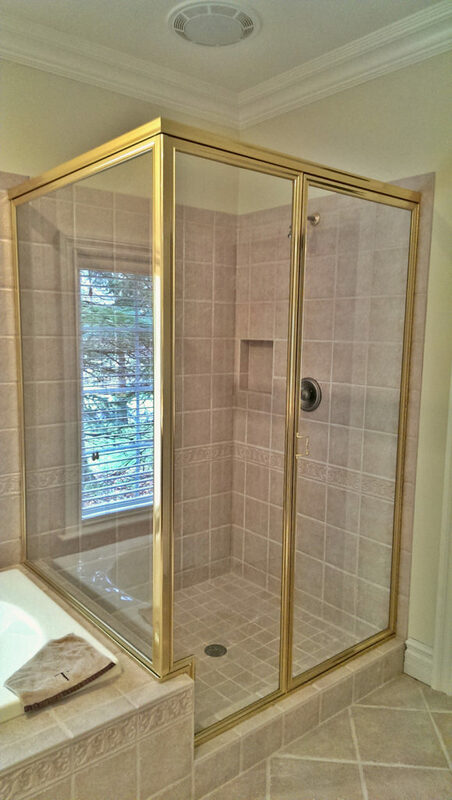 We built a roll-in shower (per his instructions), so he could transfer into a shower chair just outside the shower, but still be in a waterproof area. 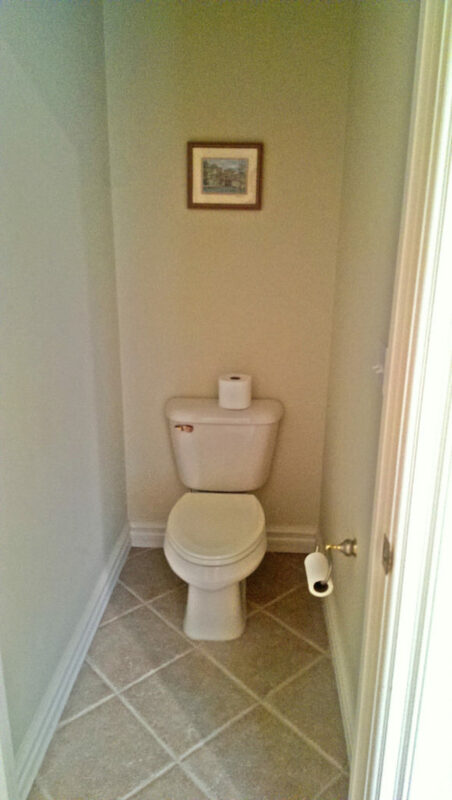 The toilet was built up on a platform so it was at the same height as his chair which made it easier to transfer. 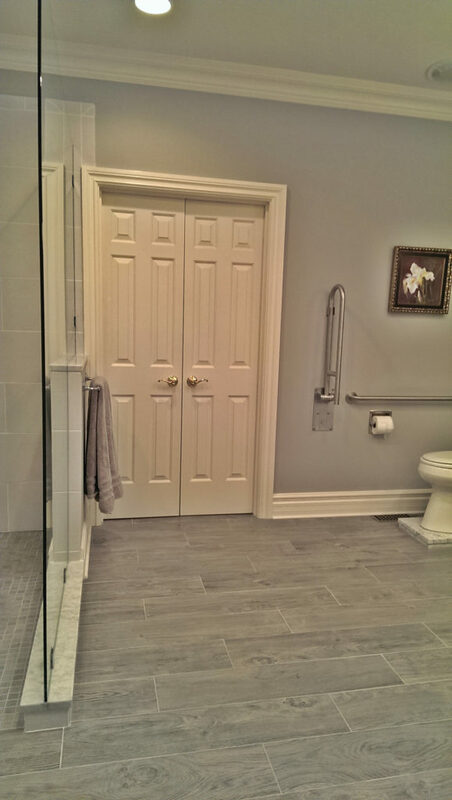 He asked that we put fold down grab bars on each wall of the toilet so it formed a cage around him so he could get dressed easier. 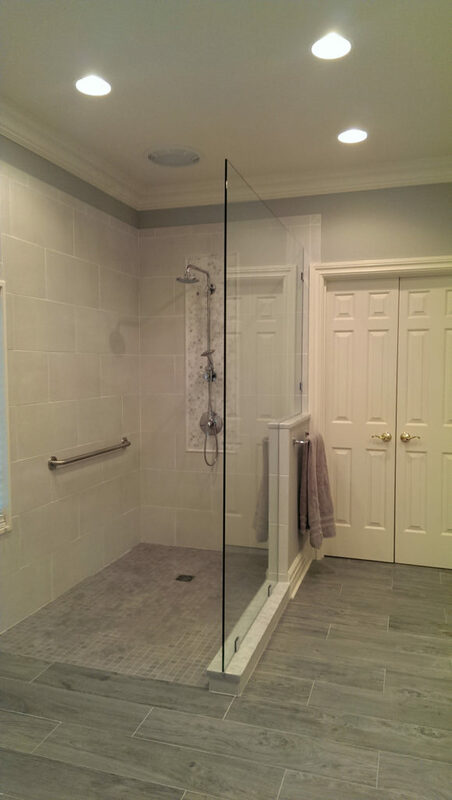 All of work for this handicap accessible remodeling project was completed with high end products, and designed to be used by anyone. 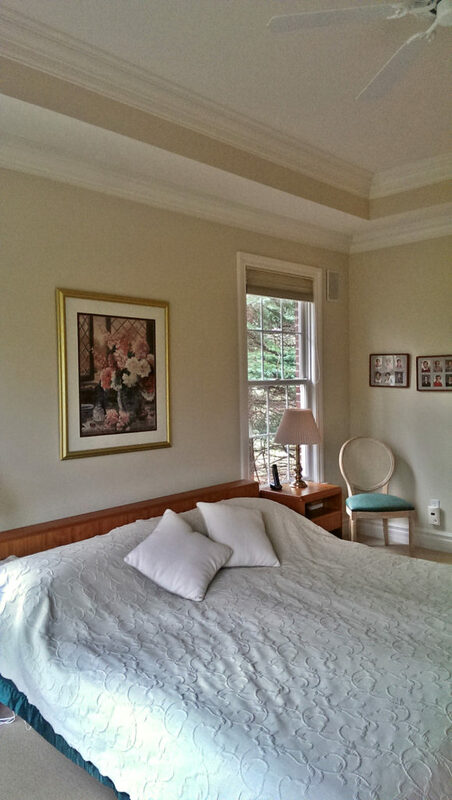 We think you’ll agree that it looks very nice, and in no way looks institutional.